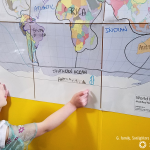 I read this article and wanted to share it with you: Help Children Succeed in Their Careers by Using a Global Focus https://blog.sonlight.com/help-children-succeed-in-their-careers-teach-them-with-an-international-focus.html. What kind of a world will your children inherit? One thing seems certain: it will be a world more interconnected and globalized than ever before. 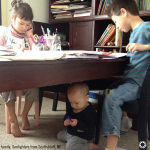 Your children will interact – whether virtually or in person – with people from vastly different cultures than their own. They will have friends, neighbors and coworkers from other cultures. Your children may study, travel or even live in another country. They may use email and Skype (or whatever technology we’re using then!) to collaborate with colleagues who live on the other side of the world. So how should we prepare them to succeed in this world? Should their education focus almost entirely on the U.S.? Or should it be a truly international education that opens their eyes and hearts to the people of the whole world, even as we study and honor our own nation? Most homeschool curricula spend up to 80% of their history or social studies time studying U.S. history and culture. Think about that. That leaves 20% of study time for over 95% of the world’s population. 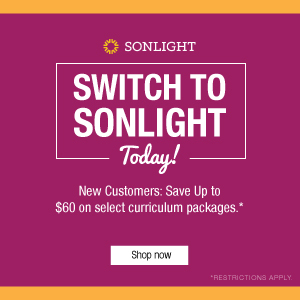 I think Sonlight has a better approach. We start with world history, and incorporate an international perspective throughout the school years. That doesn’t mean we neglect U.S. history. I do think the U.S. has a unique story and holds a unique place on the world today. I am certainly grateful to be a U.S. citizen. I think students should get a rich education in U.S. history. But we don’t need to study it 10 out of 12 years of their schooling to accomplish that. 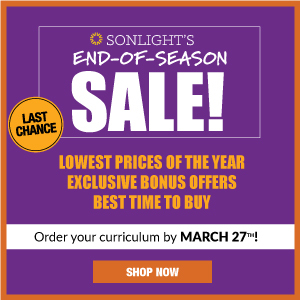 Sonlight spends 4 very robust years on U.S. history, and the rest on other periods and regions of the world. This global approach carries many advantages. 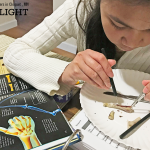 But one aspect we don’t emphasize as much is this: the Sonlight approach to world studies prepares children to be successful in their careers. Whether they go into business, medicine, ministry, public service, you name it – their perspectives and skills will be sharper for having a firm grasp on world history and the current state of the globe. Sonlight students graduate having practiced walking in the shoes of other people and trying to understand what the world looks like through their eyes. Employers want people with that skill! Sonlight students are not relying on textbooks to develop this international perspective. You can read about a different culture in a textbook, and get some information. You might know what many people in that culture like to eat, where they work, what they wear and believe. But you don’t know anyone from that culture. You haven’t seen inside their hearts and heard their dreams, fears and joys. 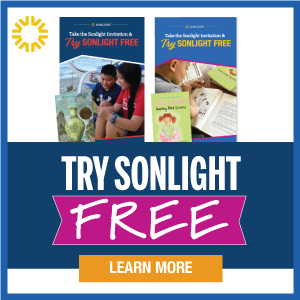 Sonlight lets you do that. We obviously can’t introduce you to a real-life friend from each culture we study. But we can give you a literary friend (or several) from each culture. When you read these stories, you get to see the world from others’ eyes for a bit. You see what they’re scared of, what they look forward to, what the world looks like through their eyes. Building these emotional connections with characters from around the world (and throughout history) prepares students to expect that people from different cultures all share a core humanity, but that they also may have vastly different understandings and perceptions of the world. This is a helpful starting place for humble curiosity and respect when interacting with people from other cultures. And again, this is a key skill in working in a globalized world. Employers want people who can respectfully dialogue with coworkers/customers/clients/leaders from different cultures. Employers want people who have a general working knowledge of world cultures and world history. That’s part of being culturally literate, and I think it will be more important for the up and coming generation than it ever has been. 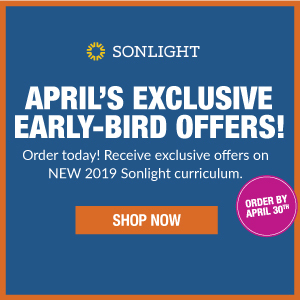 So yes, I can say confidently, Sonlight’s international approach helps children succeed in their careers. But of course, let’s stop and consider what we mean by success. Clearly, it’s more than making a lot of money or becoming famous. I’d say that your children’s career success is defined by whether they’re living out the calling God has for them – whether that’s staying at home with children, starting a company, serving overseas, or working in any number of jobs. 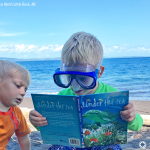 I think giving our children broad horizons prepares them to think big and have the courage to live out their calling. So let’s introduce our children to the people of the globe and help them see the nations as God sees them – diverse peoples with real gifts whom He loves immensely. Let’s help our children join God’s mission to spread His love and truth to every corner of the globe. We are here to help your do that!